It can’t be said enough: pest control chemicals are dangerous if not handled properly. They are necessary to keep out invasive bugs that would otherwise make our lives miserable, but must be treated correctly. Proper handling of pesticides starts with having a good understanding of your pest infestation problem and what products are available in the market for controlling them. You can’t control pests if you don’t understand the chemicals you are using. 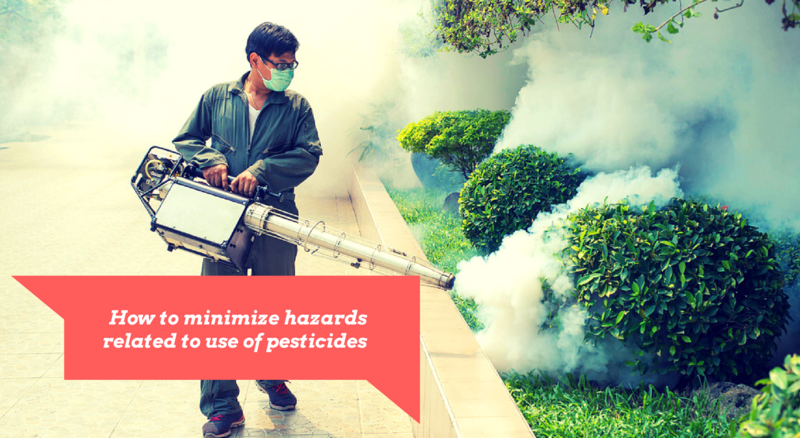 Pesticides are broadly classified as insecticides, fungicides, herbicides, or repellents. They are used either for domestic purposes or commercially to repel or kill insects, fungi, rodents or weeds in our environment. They have different modes of action depending on the pest they target, ranging from contact, systemic or even repellent action. 1.Get expert advice from professionals when purchasing a chemical. Whether it’s from the staff at your local Bunnings, or full-fledged pest control experts like us, it’s always good to get the right advice on what chemical to use for your specific pest problem. 2. Read the product label and follow the written instructions. Once you’ve selected the product you should read the label carefully before you open and start using it. Of importance are the recommended dosage levels. Prepare only the minimum quantities required to do the spraying job. Only apply pesticides approved for domestic use, usually indicated on the product label. Wearing of personal protective equipment (PPE) is absolutely essential when using chemical products. Basic PPE includes gloves, dust mask, trench coat or overalls, rubber boots and in some cases goggles. Depending on the amount you will be spraying, and the period over which you will be exposed, the type of PPE will vary. After using the chemicals, you should wash your hands, or take a full shower, again, depending on your level of exposure to the chemical. You should also flush out any remaining chemical in the spray pump, and wash it as well. Chemicals should be stored away from the reach of children and should be properly labelled. Do not transfer pesticide chemicals into different containers. Do not use chemical containers for any other use apart from storing the pesticide itself. You can take used chemical containers to either a Community Recycling Centre or a Household Chemical CleanOut event which is held in various locations around NSW on specified dates throughout the year. Professional pest control operators also handle container disposal when you engage their services. 7. How toxic are pest control products? Despite the fact that most pest control products have toxic properties, they only become hazardous when mishandled or misused by people. All pesticide products sold in Australia must be registered and approved for sale by the National Registration Authority for Agricultural and Veterinary Chemicals (NRA). They first undergo a rigorous approval process to assess their efficacy and possible impact on health and the environment. All pesticides come with a material safety data sheet (MSDS) which contains important information on the chemical composition of pesticides as well as additional information on safety in usage and potentially harmful environmental effects. You can obtain it from the product distributor or pest control operator you hire. 8. Who is authorized to use pest control products? All adults can use pesticides in their homestead but must take the necessary precautionary steps to safeguard themselves against potential harm. Where a larger operation is required to eradicate pests, such as in cases of serious infestation, the Environment Act recommends hiring a professional pest controller. They are authorised and licensed under strict terms by Australia’s Environment Protection Act. 9. What to do incase of poisoning. If someone ingests a pesticide you should call your local emergency number straightaway. Read the label on the pesticide container and follow the instructions given for accidental poisoning. 10. Are there ways to minimise pest control chemical usage? Maintaining good hygiene such as clearing away food remains which attract domestic pests such as ants, cockroaches and rodents can help reduce the need for pesticides. Removal of weeds and maintaining your lawn can also reduce pests such as rodents However, there are situations where chemicals must be applied especially if there is a pest outbreak. Such outbreaks are usually seasonal when weather conditions become conducive for their breeding.